There are plenty of ways to reduce your electricity bill, and most don’t require ongoing changes in behavior. By investing a little time and money upfront to adopt the following energy-conservation strategies, you can save hundreds, if not thousands, of dollars every year. 1. Schedule a free energy audit from your utility. An energy audit is a comprehensive, professional assessment of your energy use that offers a clear roadmap to energy efficiency. Many electric utility companies offer free audits to their commercial customers; call them up and ask to have an energy auditor sent out to your business. Pro tip: Scheduling an energy audit will help you identify all the opportunities for energy-efficiency mentioned in this article and much more. Replace your inefficient light bulbs (i.e. halogen, incandescents) with LEDs. Replace your fluorescent tubes (T12s are a must-replace, T8s are a nice-to-replace) with tubular LEDs or new LED fixtures. Upgrading your lights might require an initial upfront cost, but the upgrades pay for themselves over time through lower electricity bills. Pro tip: Avoid the initial upfront costs of a lighting upgrade by securing a rebate from your utility or the California Green Business Network. Learn more here. Find and seal air leaks in your building to eliminate the loss of warm and/or cool air. Install programmable thermostats to ensure that your HVAC system spends less energy regulating the temperature in your building when no one is around (i.e. at night and over the weekends). Schedule regular maintenance with an HVAC professional in the spring and fall of every year, at a minimum. Change air filters regularly—the key being if it looks dirty, change it. Configure the settings on your computer and monitor(s) to initiate low-power sleep mode after 10-15 minutes of inactivity. This simple step saves a significant amount of energy, and has no downsides to speak of. Learn more about how to configure your computer’s settings. FYI: Low-power sleep mode “pauses” the current state of your computer and reverts to a minimum power state—just enough to retain the open data. When you click the mouse or push a button on the keyboard, the computer “resumes” its operations with the same open apps and files. 5. Purchase energy-efficient appliances. Before you buy or lease new office equipment, check to see if they are ENERGY STAR® certified. An ENERGY STAR® appliance has been rigorously evaluated and determined to be energy-efficient. 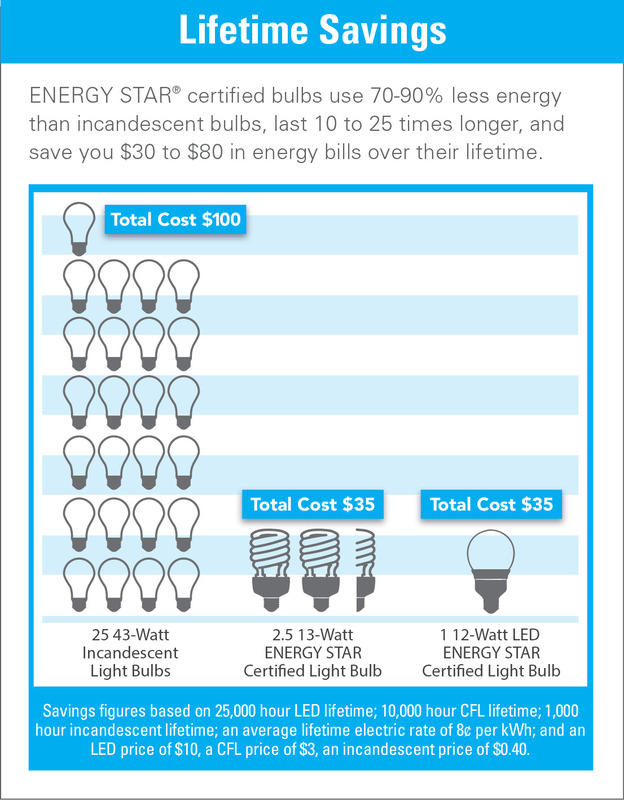 It used to be the case that ENERGY STAR® appliances cost more than standard appliances, but that is less true today. Thanks to the high demand for ENERGY STAR® products, appliance manufacturers have ramped up production and as a result their costs have gone down. In any case, even if an ENERGY STAR® appliance costs more than a conventional appliance upfront, the more efficient product will typically be cheaper over the long run due to utility bill savings, depending on the initial price difference. 6. Prevent “phantom” energy. In the same way that leaky faucets waste water, many appliances consume electricity when they are turned “off”. This is what we refer to as a “phantom” energy load, and it inflates your electricity bill. To stop these energy leaks. Plug neighboring appliances into a power strip, and make a habit out of switching off those power strips at the end of each day. Of course, one or two “phantom” appliances might not draw much power, but a whole office of electronics does add up. In total, “phantom” energy loads can account for as much as 20% of your electricity bill. The transition to a sustainable business is not easy. There are so many things that are different about a sustainable model that it’s hard to get it all right, all the time. That’s why we provide free technical assistance, educational resources, and financial support to all who want to optimize their business. Through our free, six-week certification program, all businesses that join The Network reduce their environmental impact, lower the operating cost, harness the competitive advantage of sustainability, earn the credibility of a third-party certification, learn about the triple-bottom-line, and join a community of like-minded businesses. Learn more today about how you can shift into the Sustainable Economy. If you found this article useful, you’ll love learning about how sustainability can optimize your business’s outcomes for free.